Hobart and Rosny CLOSED Christmas day, Boxing day & New Years day. All other days are open as normal. Glenorchy CLOSED Christmas day to New years day inclusive, Reopening Wednesday 2nd January. All collections centres will be CLOSED on Friday March 30, Monday April 2 and Tuesday April 3, re-opening on Wednesday April 4. 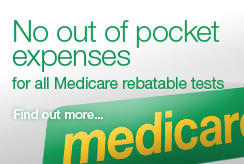 The Hobart collection centre in the Wellington Clinics will be OPEN as usual on Saturday March 31 from 8am-12pm. Please call 6166 0150 if you have any queries. Glenorchy collection centre opening soon! We are pleased to announce that Pathology South will be opening a collection centre in the new Glenorchy Integrated Care Centre in April 2018. More details to follow. 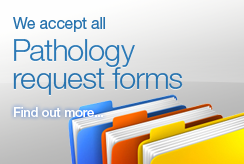 Pathology South has a new line for result enquiries, the number is now 6166 0151. This change is to provide a quicker and more efficient service for our external clients.